We are living in an age of rabid, oversimplified radicalism. If you don’t immediately bow down to the screams of the mob, then you’re seen as a racist, sexist, and bigot. Any attempt to use nuance when analyzing complicated economic, sociological, or political issues leads to knee-jerk dehumanization by the radicals. The radicalism is spreading. Colleges have all but completely surrendered to the radicals. The media is completely flooded with their oversimplified, dogmatic ideology. Because of this new movement of the radicals, we see perpetually increasing demands for government control over every part of our lives, whether it’s in the doctor’s office, the Christian’s bakery, or the local gun shop. The good news is that there is an old approach to life that provides a way out for those of us who haven’t completely abandoned our desire for an evidence-based, nuanced view of life: conservatism. A conservative is someone who follows the tradition of Western civilization in order to maximize ordered liberty. We value liberty, but understand that some government is necessary – just enough to defend the institutions which allow liberty to foster. And we value tradition, because when institutions are strong, they shouldn’t be drastically changed because of some short-sighted, oversimplified whim. This conservative emphasis – government exists to maximize liberty – requires nuance, discernment, and a long look at the history of society and government to see what seems to work and what seems to fail. We aren’t ideologues trying to stuff a couple of vague principles on everyone through the barrel of the government’s gun. We’re following a general philosophy with caution. Good strategy minimizes foolish risk. Conservatives are skeptical of anti-Western radicalism because we know what’s at stake. All it takes is one wrong idea for an entire civilization to fall to its knees. This concept – that we’re one radical idea away from ruin – is critical to understand. Radicals tend to pursue foolish ideas without the experience to even know if they’re right. And too often, entire nations of people suffer from destruction, poverty, and misery as a result. Radicals, by definition, pursue ideas and actions which have not yet been confirmed through the course of history. The claims of the radicals are always dramatic promises of heaven on earth – if only we would just follow their simple, easy-to-understand mantras. They’re always wrong. Literally hundreds of millions of people have been murdered in the communist and nazi radical regimes. When people surrender their basic social institutions to the radical, there is always hell to pay – even though it was heaven which was promised. Conservatism is the rejection of the naive, foolish approach to life. We know that heaven will never be achieved on earth. Our goal, then, is simply to maximize what is good – and minimize what is bad. In politics, this means defending institutions which protect ordered liberty. This means defending institutions which have been vital throughout history. Conservatives want proof that an idea will work before they use it. This kind of cautious behavior helps avoid the pitfalls of suddenly being shocked by failure. And it leaves less room for error. What institutions do conservatives want to defend? Gender. Family. The rule of law. Equality under the law. Parental freedom. The freedom to defend yourself. The principles of capitalism. These institutions and principles all share one thing in common: they’re part of the tradition of ordered liberty which promote human flourishing. If you live your entire life with the wrong worldview, you’re destined to die a failure. Because in the end – being right matters. There are consequences – great, personal consequences – to being right or wrong about your worldview. It’s not all relative. If you’re wrong about parenting, you can destroy generations of lives. If you’re wrong about debt, you can be permanently financially enslaved. If you’re wrong about your career, you can squander a lifetime of labor. That’s why on average conservatives tend to be happier people. We adhere to those values which have been the bedrock of the human experience since the dawn of civilization. Conservatives have a correct worldview that’s properly aligned with nature – and it works. Research from Arthur Brooks shows that four major factors, outside of genetics, determine human happiness. They are: faith, family, community, and meaningful work. The philosophy of conservative thought encompases and incorporates all of these factors. Under a conservative political framework, emphasis is placed on building up these social institutions to help people and make them stronger. We understand that government is sometimes necessary to protect and allow faith, family, community, and meaningful work to prosper. When the great French political scientist Alexis DeTocqueville visited the United States to write his 1835 classic Democracy in America, he reported that he found the key to American civil society. And that key was not Washington. Nor was it even local governments. Instead, Tocqueville concluded that America’s strength came from its civic institutions – non-governmental community associations. The power of church and family cannot be understated. When trouble arises, they are a force to be reckoned with – and Tocqueville understood this. These voluntary institutions act as a mediating force between the government and the people, and behave efficiently to solve problems facing society. Barack Obama was wrong. While helping others is essential, it should not be forced. This is where we shift from ordered liberty to his vision of force. If you want society to flourish, you don’t use a massive government. Instead, you build a government that is only large enough to defend the liberty – and society’s strong institutions will take care of the rest. That’s the next critical principle of the conservative worldview. We want liberty because we know that it is the key to everything else. Conservatives understand human nature. We know that absolute power corrupts absolutely. And we know that government is not the solution to our problems, but that government is the problem, as Ronald Reagan famously quipped. These conservative ideas are not new. They have existed since the very conception of this nation – and even before. 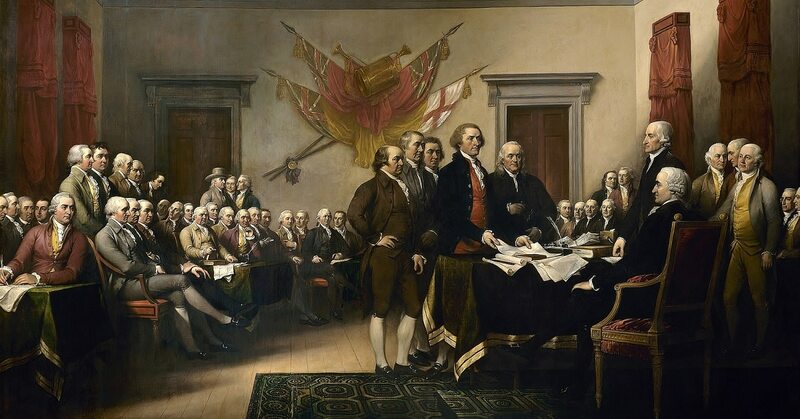 From the beginning, the founders were worried about our government becoming too large and too powerful. To remedy that concern, they structured a government of limited powers. These powers would later be described by James Madison as “few and defined”. This is why conservatives defend the idea of ordered liberty – only through order can you have liberty. But order for its own sake isn’t the goal. Order is just the mechanism by which we defend the liberty. Ordered liberty and limited government are two sides of the same coin. You can’t have one without the other. Conservatives understand that the only way to achieve ordered liberty is through the rule of law. The rule of law is how we’re able to have an orderly society that maximizes liberty. Without the rule of law, our other values can’t be achieved either – it’s a primary institution which allows the others to foster. The first thing power-obsessed leaders do is rig the political system so that the law becomes a weapon for themselves rather than for the principles of why the law exists in the first place. There is no liberty in these kinds of countries, even though in every situation, the dictators promised the people all sorts of heaven-on-earth consequences if only they’d surrender their few institutions. The founding fathers purposely structured our government in a way that protects natural rights. The Bill of Rights limits the power of government in order to protect the people. But modern radicals don’t seem to understand or care. Every chance they get, they give lawmakers the power to write and rewrite laws in a way that undermines our ability to be free. Conservatives are against this. We understand the power of the rule of law and we’re willing to defend it. Conservatism achieves what radicals can only promise. A prosperous society through ordered liberty. By defending and supporting critical institutions like family, marriage, gender, and rule of law, people are able to flourish. Only when the government is limited and only when the government is used to defend these institutions is that government justified. Conservatism is the philosophy of Western prosperity through ordered liberty. “I will not cede more power to the state. I will not willingly cede more power to anyone… I will hoard my power like a miser, resisting every effort to drain it away from me. I will then use my power, as I see fit.